Don’t you love the sweet smell of soil that comes with the first rains? 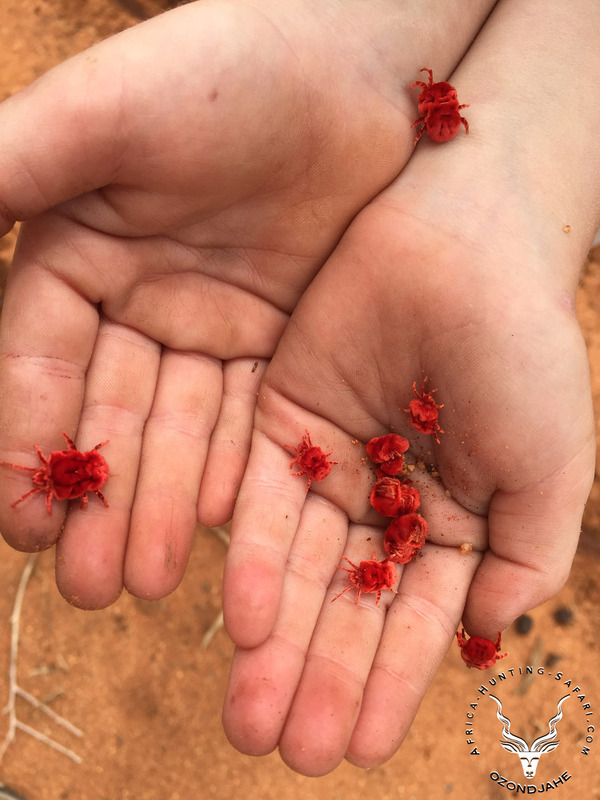 We got some good rain the last days, and since we were kids, one of the first thing to do after the rain, would be to look for those “red velvet spiders” or “red rain spiders”, as we commonly call them in Namibia even though they don't belong to the same species. They have a propensity to become more active after rain. When you pick them up, auto-defense mechanism, they roll into a ball but soon after they will start moving again. Their striking red color is to warn predators that they have a terrible taste. Some individuals of the Namibian species can exceed 12 mm in length, the average being 8mm. The adults have eight legs but the young hatchlings emerge with six legs only. They live up to 18 months and eat larva and eggs of other insects. Their habitats are primarily sandy desert areas, soil and soil litter; you can find those around the world (22 species known in Africa, Europe, Asia, Australia, and America). 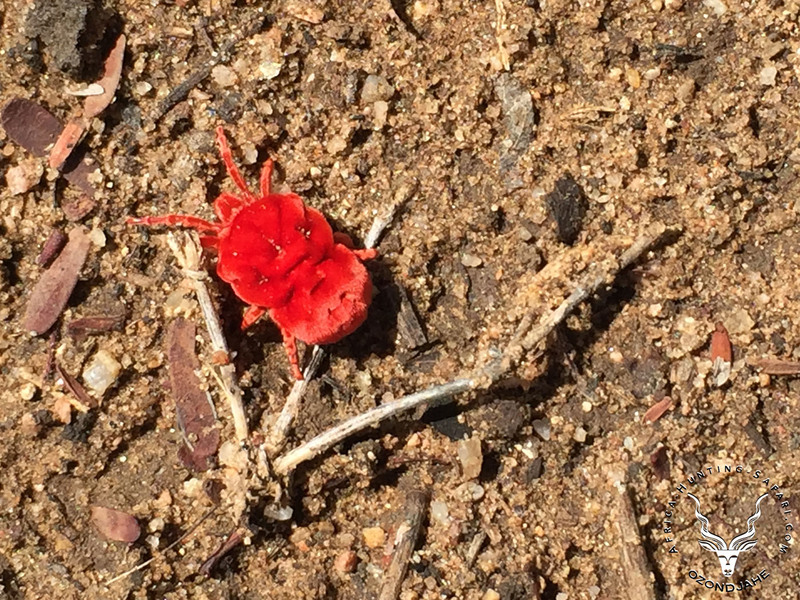 Adult velvet mites spend most of their lives in subterranean burrows in a diapause-like state waiting for a specific set of ecological conditions triggered by summer rains. On desert soils, only the adults emerge to the surface of the sand after heavy rain. During mating, the male and the female are involved in a “mating dance” during which they encircle each other and tap each other with their forelegs. The males deposit sperm onto leaves and twigs, and then lay down a trail that leads to them. A female follows the path then “sits” in the sperm. After mating, the female lays as many as 100,000 eggs. The larvae hatch from eggs, and survive initially as parasites, attaching themselves to insects such as grasshoppers. 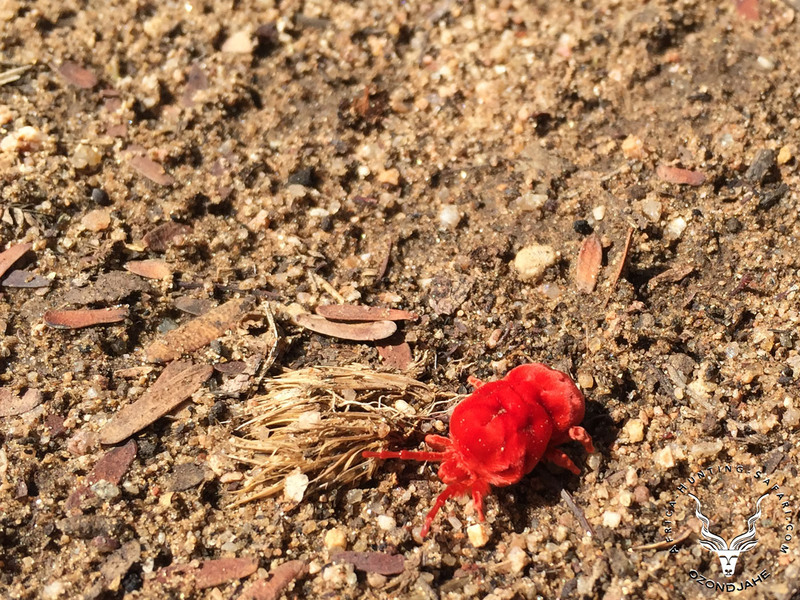 The presence of these red velvet mite is critical to the environment and a healthy eco-system. They participate in the decomposition process within the soil matter. Owing to their parasitism in the larval stage and appetite in the mature stage, they have also been considered possible biological control agents for invertebrate pest species. 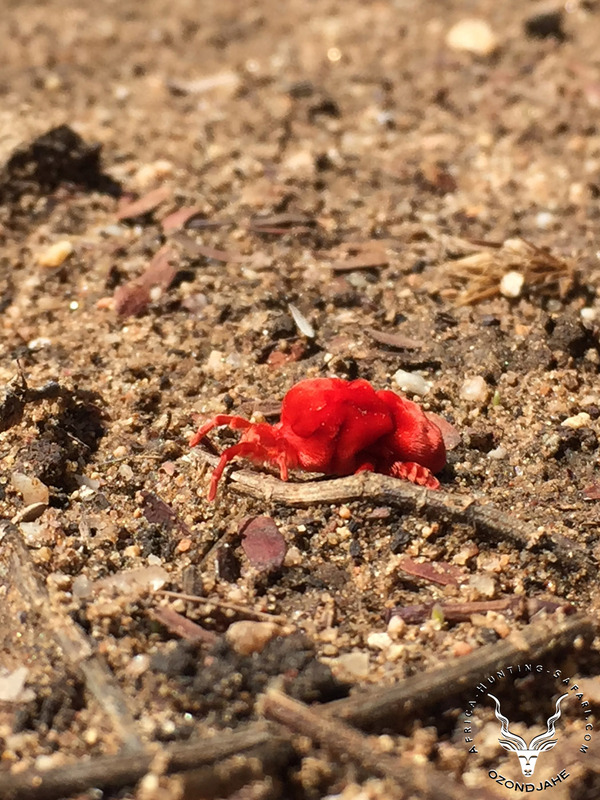 Velvet mites are harmless to humans, but their extracts are used for the treatment of male infertility and paralysis in traditional Eastern medicine. It would be nice to know more about those mites, they are an under researched enigma. Some tribes in Namibia consider their appearance as an indication of a wet season. Let’s hope it is the case.